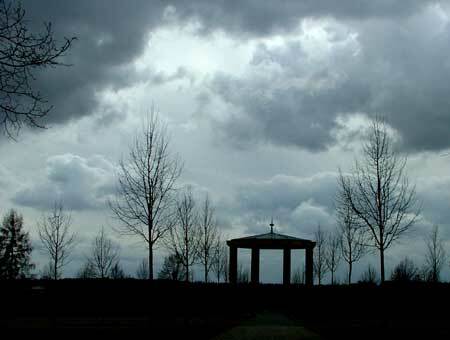 Opposite the turnoff to Buštehrad on the Prague to Kladno highway is a tree-lined path leading to a high octagonal pergola and a semi circular complex of buildings that function as a memorial and museum to the destroyed village of Lidice. The grey, concrete interior of the museum is a stark, dimly lit space. The original village sign is preserved and children’s letters home from Poland are on display, but the museum mostly uses photographs, texts and a very good eight minute video to describe the destruction of Lidice. Full-price admission is 80Kc. Outside, the semi-circular space enclosed by the curved buildings is paved and extends forward to form a raised viewing terrace where the hillside begins to drop into the valley. Visible from there and connected by well-maintained paths are the memorial rose garden, the village pond and the scattered monuments marking the significant locations of the original village, including St Martin’s church, the schoolhouse, the Horák family farm, and the location of the mass grave where 173 innocent men and boys have lain since the summer of 1942. 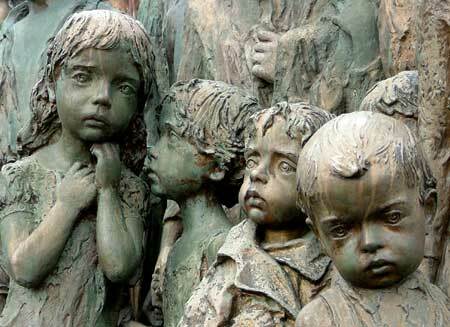 A particularly evocative monument is the sculptural group dedicated to the children of Lidice. Sculpted by Marie Uchytilová, the statues of 82 individual children were installed gradually between 1996 and 2000 and now huddle uncertainly together on the hillside above their home valley. A particular favourite with visitors to Lidice, the children's memorial often has a blanket of flowers, cards and toys spread out across the lawn at the children's toes. 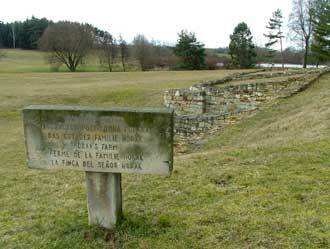 The foundations of the prominent buildings of Lidice including the church and the Horák family farm are represented by low ledges of stone. Near the Horák farm is a crucifix with a ring of barbed wire in memory of the Red Army soldiers who died liberating this part of the country from the Nazis and on the opposite slope of the valley is the old cemetery. The individual memorials are connected by wide paths and surrounded by well-maintained lawns. There's no admittance or set closing time for the outdoor memorials, but the museum and its displays are an indispensable part of any visit to the site and it is open daily from 9am until at least 4pm, year round except for the major public holidays.